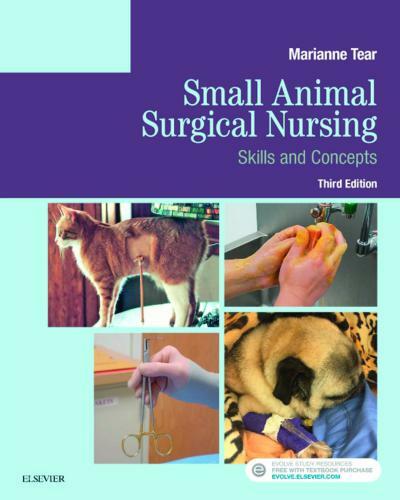 Small Animal Surgical Nursing 3rd Edition, Surgery is one of the most complex, interesting, and scary tasks a veterinary technician can orchestrate. Although we do not perform surgery, we can help to ensure that our animal patients and our veterinarians come through the experience healthy and happy. In a busy clinic it is easy to get overwhelmed and feel task saturated; add the daunting task of taking care of animals under anesthesia and even a seasoned technician can crack under the stress. With a little careful planning and forethought many of the variables can be removed. Repetition, training, and a refusal to become complacent are our superpowers. The intricate dance that exists when a veterinarian and a technician work together to help animals is truly an amazing thing to watch. There is a lot of nonverbal communication that takes place and trust that is required. Unfortunately, it takes a while to learn the steps and it can seem impossible sometimes. My hope with this book is to help those new to the profession by giving them a firm foundation in small animal surgical nursing and help those who have been in the field by giving them a quick reference. The book begins with setting up the facility, including the surgical suite and instruments, and then moves through patient and personnel prepping. We reorganized the con-tent, creating two new chapters, Chapter 3, Patient Preparation, and Chapter 11, Postoperative Cleaning, to provide more focus on these areas. Text boxes give a quick reference to key ideas, and key terms in the chapter are defined in the glossary at the end of the book. The technician’s role in pain management has also been expanded in this edition, reinforcing the important role technicians play in patient advocacy.